Bobby Watt (Hays No. 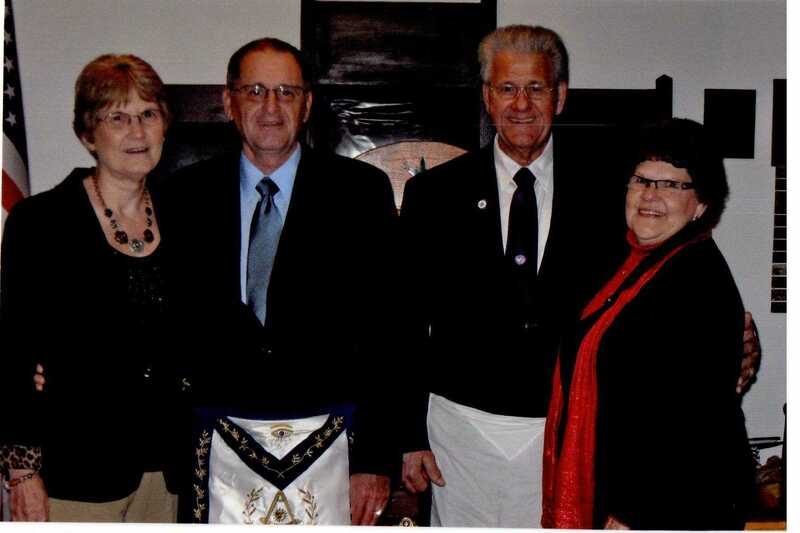 517), Installing Master; James Stidham (Hays No. 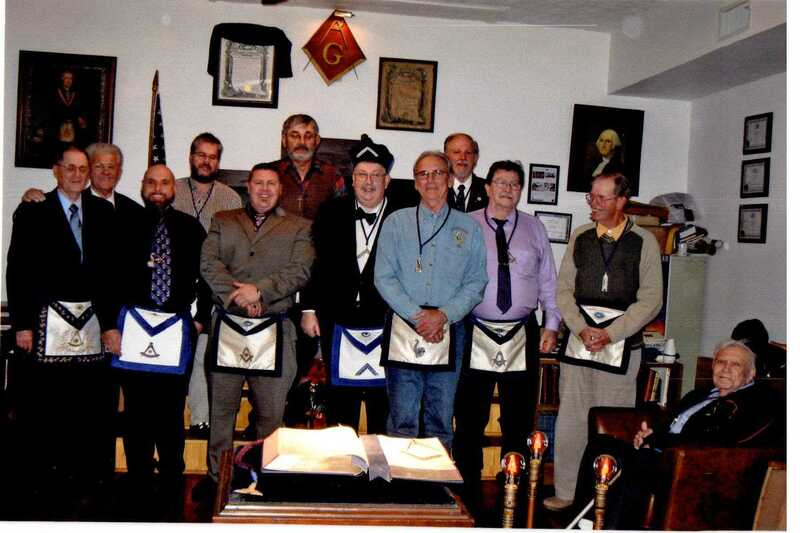 517), Installing Marshall; Travis Bush, Senior Steward; Lew Adams, Treasurer; Jason Wallace, Senior Deacon; Rick Campbell, Tyler; Dan Kemble, Master; Dennis Stephens, Junior Steward; Ed Tanner, Secretary; Buddy Wallace, Junior Deacon; Ernie Stratton, Junior Warden; and Bob Fobbe, Chaplain. Bobby Watt (Hays No. 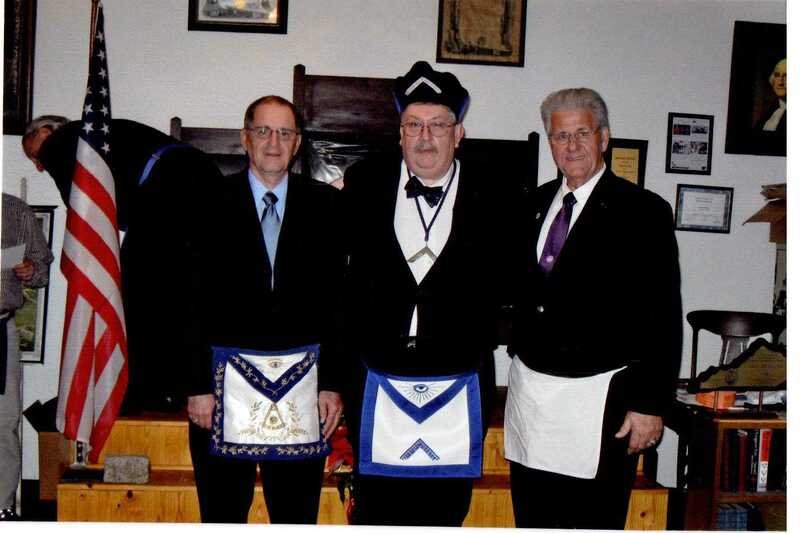 517), Installing Master; Dan Kemble, Master; and James Stidham (Hays No. 517), Installing Marshall. Sarah Watt, Bobby Watt (Hayes No. 517), James Stidham (Hays No. 517), and Wanda Stidham. Brother Bobby Watt (Hays No. 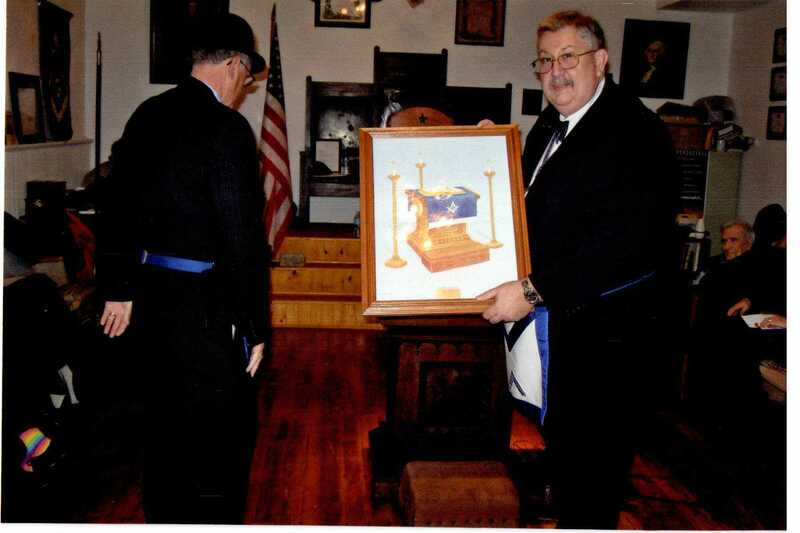 517) presents Master Dan Kemble with the print “Let There Be Light” by Brother Pete Hicks of Bowling Green Lodge No. 73. The print depicts the altar from the old Bowling Green Lodge. Brother Hicks was an art professor at Western Kentucky University. 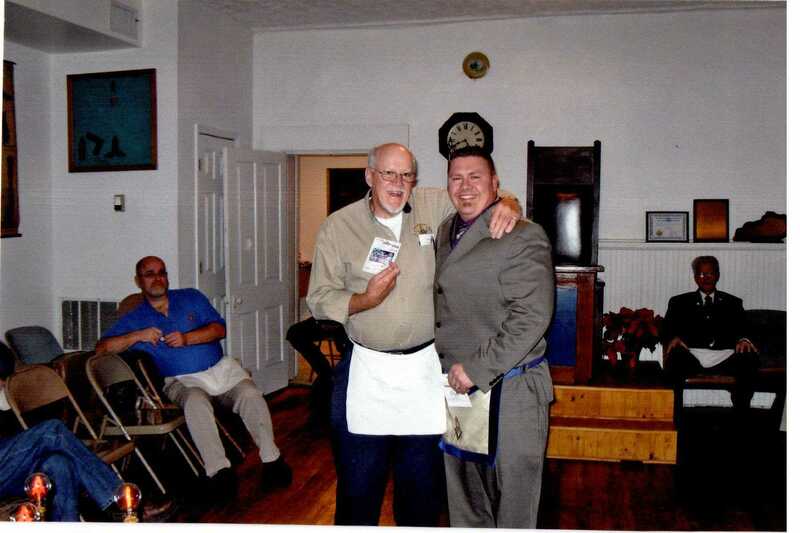 Brother Garry Kelly and Brother Jason Wallace won the 2013 gift cards for their donations to our Kelly Elementary School Fund. The school is not named for Brother Garry, although he is said to have attended first grade there for several years.